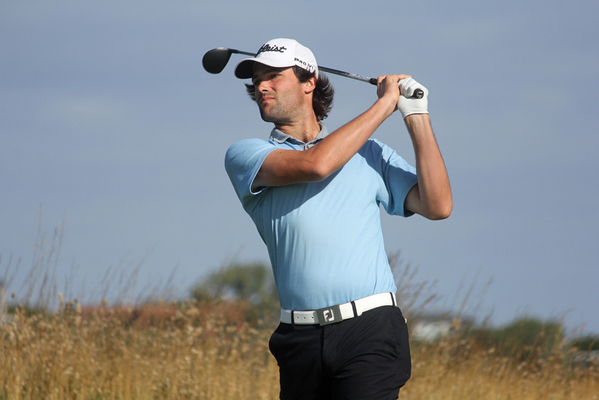 TEEING OFF: Geelong Golf Club Pro-Am champion Simon Hawkes returns to defend his title next month. Geelong Golf Course is set to host its second Pro-Am and has attracted several leading pros as the event draws closer. The Pro-Am takes place on 2 February and has secured entries from Victorian Open winner and previous Geelong Golf Club Pro-Am winner Simon Hawkes, Olympic golfer Marcus Fraser and PGA Tour player James Nitties. The timing of this year’s Pro-Am made it a perfect warm-up for those competing in the upcoming Victorian Open, club manager and PGA member Paul Christie said. Geelong Golf Club had made some large changes off the back of its inaugural Pro-Am in 2017, including modifying the event from an 18-hole competition to nine holes, Christie said. This would allow for a fast-paced, high-stakes tournament and increased tee time availabilities for both professional and amateur players, he said. There were still opportunities for amateur players to play alongside some great PGA professionals, Christie said. He was excited about the “quality field” and urged local players to sign up. “We’re getting a lot of good entries from amateurs to match our strong field of professionals,” he said. Players can join the professionals for nine holes of golf and relax with an all-inclusive light lunch for $30.